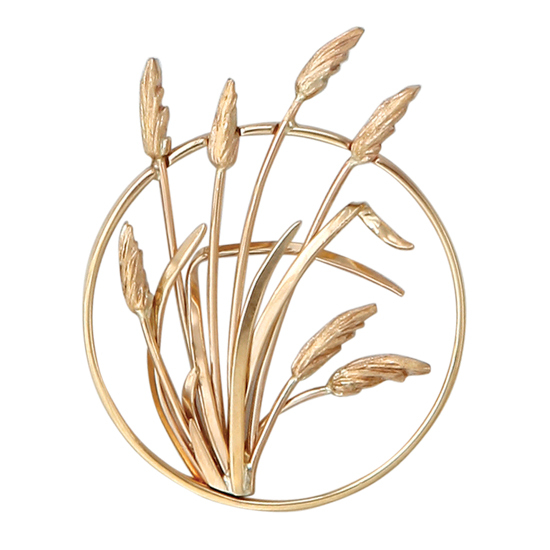 14Kt Yellow Gold Sanibel Sea Oats in Circle Pendant. Handmade. An Original Cedar Chest Design.